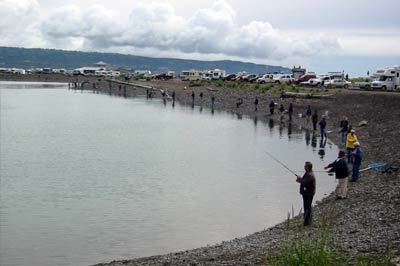 Residents and visitors of the Canadian province of Yukon enjoy fishing. There are many bodies of water that feature a variety of fish species throughout the area, and the best way to get that prize catch and find the sweet spots is to hire a Yukon Fishing Guide or go on a Yukon Fishing Charter. Yukon Fishing Guides are local area fishing experts. They have thorough knowledge of the region and all of the prime fishing locations. Your Yukon Fishing Guide knows all of the local fish types and where to get them. They will make sure that your Yukon fishing trip is a fruitful one. For those without gear or who have a larger group, hiring a full Yukon Fishing Charter company could be the best solution possible. Yukon Fishing Charters will provide you wilth all the tools and accessories necessary to get the job done and help you catch some fish. This includes fishing rods, lure, tackle and bait as well as the boat. 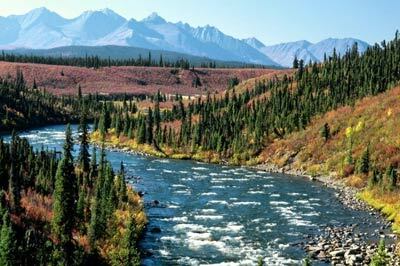 Yukon or the Yukon is the westernmost and smallest of Canada’s three federal territories and has a strong fishing background. Check out some of the spots like Coghlan, Ten-Mile, Frank, Ken, Snafu and Hidden lakes to name just a few. Most of the territory is in the watershed of its namesake, the Yukon River. The southern Yukon is has a large number of large, long and narrow glacier-fed alpine lakes, which flow into the Yukon River system. The larger lakes include Teslin Lake, Atlin Lake, Tagish Lake, Marsh Lake, Lake Laberge, Kusawa Lake and Kluane Lake. Bennett Lake on the Klondike Gold Rush trail is a lake flowing into Nares Lake. My parents are visiting from lower 48. Do you know of any companies providing half day fishing charters on Kluane or Teslin lake? Thx. Hi Mike, Up North Adventures in Whitehorse provides a variety of outdoor adventure services, including half-day and full-day guided fishing trips on the Yukon.They are not too far from Teslin Lake. You can check them out at http://upnorthadventures.com.